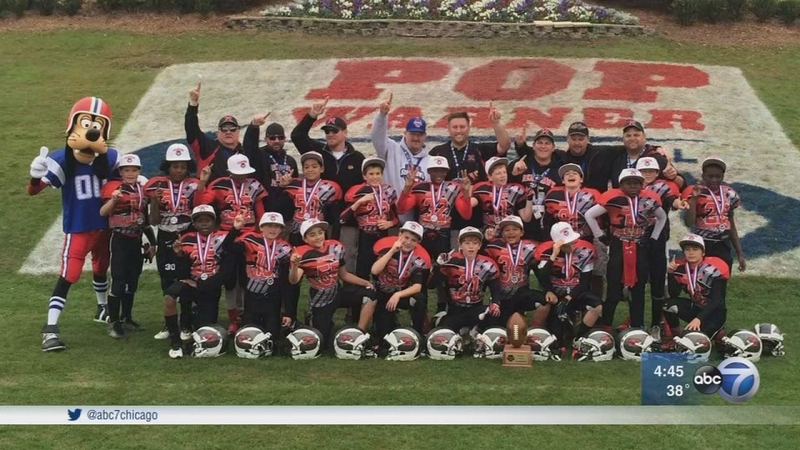 HOFFMAN ESTATES, Ill. (WLS) -- A suburban youth football team is celebrating a historic win in Florida. The Hoffman Estates Redhawks capped off an undefeated season with a win in the 60th annual Pop Warner Super Bowl, beating Rivera Beach, Florida 35 to 7. It's the third state national championship for the team made up of 10, 11, 12 and 13 year olds. They're the first Pop Warner team to achieve the three-peat.